A number of key changes that could very well change the dynamics of Competitive Play have been added to Overwatch in the latest PTR patch. 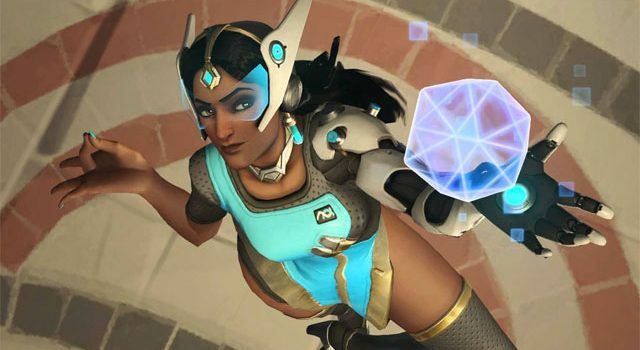 PTR patch 1.25 prioritises a Symmetra rework, the long-awaited change to the kit of one of the game’s most underutilised and mistaken heroes. 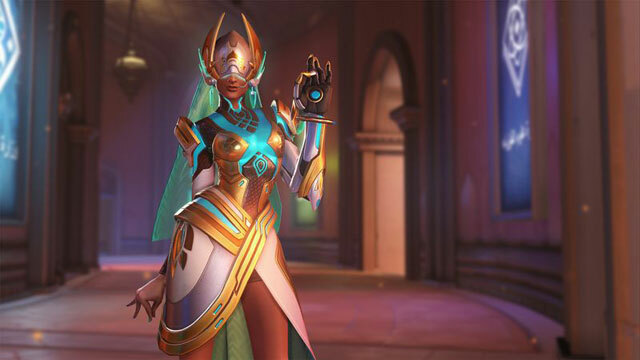 I’ve for a long while now been campaigning for a Symmetra rework. Having played the hero for more than 80 hours, the changes are welcomed, although the complete altering of her style and role appears to have been met with mixed emotions by the Overwatch community. 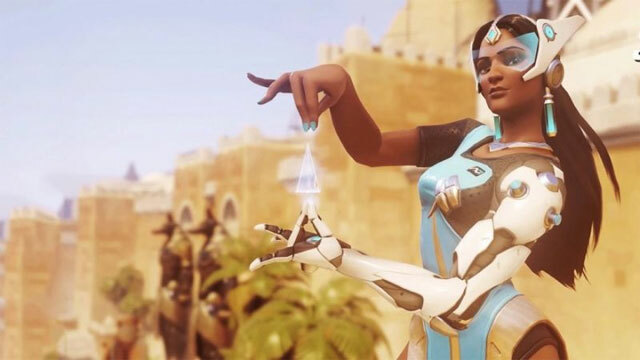 As it stands in this latest patch, Symmetra isn’t anywhere near as effective a defense builder as she once was, now more a high damage hero with a more refined and skill-based kit. Her primary fire no longer automatically locks onto target, and is now more in line with what we can expect from Zarya’s primary beam. Symmetra’s primary now fires in a straight line, extending roughly 8 metres. Damage output has been increased, but obviously with this change come a more skill-based aiming approach, making it harder to “aim” (if she ever had to aim) then before the rework. Her secondary fire now powers up at a faster rate, and explodes on contact, spreading damage across multiple heroes in close proximity. What is arguably the most exciting change to Symmetra’s kit comes in the way of her moving turrets. Previously, you could only place turrets close to her body. They are now rework as projectiles, meaning you can send them flying up towards a Pharah (perhaps the most important Symmetra counter hero). Damage output has also been increased, but you can only have three active at any one time. The changes to Teleporter sees is move from an Ultimate to a main ability. She can place a “tele” up to 25 metres from her staring point, and can also have the entrance anywhere else on the map. This means it’s no longer restricted to being within spawn. Of course, it’s probably most useful here, but the distance restrictions means it can be used in more useful ways, maybe like sneakily placing the exit near an enemy spawn, and the entrance near a capture point for the sake of flanking an attacking enemy. Her Ultimate now absorbs both the Shield Generator and photon barrier, creasing a huge barrier that can span the entire map crossways. It has 5000 health, and can do wonders to protect you against powerful Dva Ultimates or a Bastion. There’s a number of other key changes coming by way of this patch. Check them out below. Endorsements — When a player finishes a match, they can give (and receive) Endorsements for other players based on their positive behavior in the game. 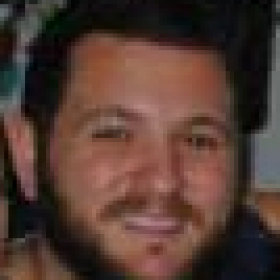 Types of Endorsements include Good Teammate, Shotcaller, and Good Sportsmanship. Every Endorsement a player receives goes toward progressing their Endorsement Level (EL); players also receive +50xp toward their overall level for each Endorsement given to another player. At any time during a two-week interval, players can be rewarded based on their current EL. Looking For Group — Players can form their own in-game groups, choose roles and team compositions, make restrictions based on Endorsement Levels, and merge with other groups. Private Profiles — Player profiles now have the option to be set to Private, Friends-Only, or Public. Horizon Re-Work — Horizon is receiving level design changes to help balance the map. Damage Role — Defense and Offense roles are now replaced by the Damage role.